in medico-industries,e.g.diuretic,sedative etc. 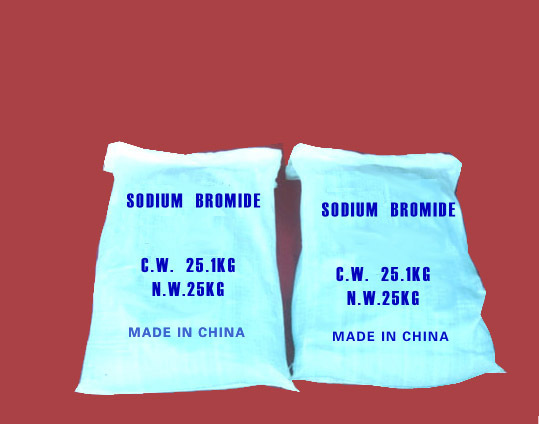 It is also use -d as bromide mading complex material and complex dyes. Chloride(calculated with C1)%: 0.5 max. Sulphate(calculated with SO4)%: 0.1 max. Heavy metal(calculated with Pb)%: 0.001 max. tion is neutral and has electoconductibility. 5.Package:25kg or 50kg each by knitting bag with plastic inside.